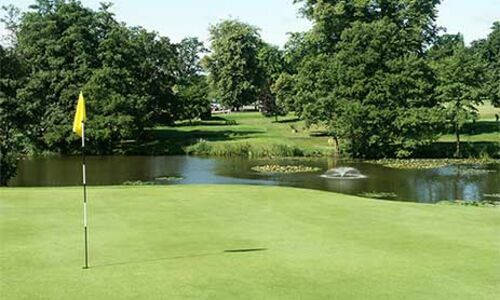 From the Tournament tees the 13th hole is Calcot Park's longest par 3 measuring over 190 yards. 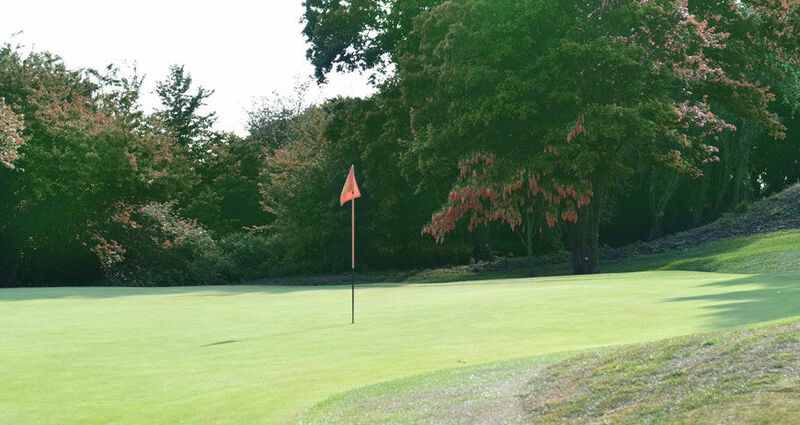 A well struck iron shot will see your ball carry the deep gully but your work is not over yet. 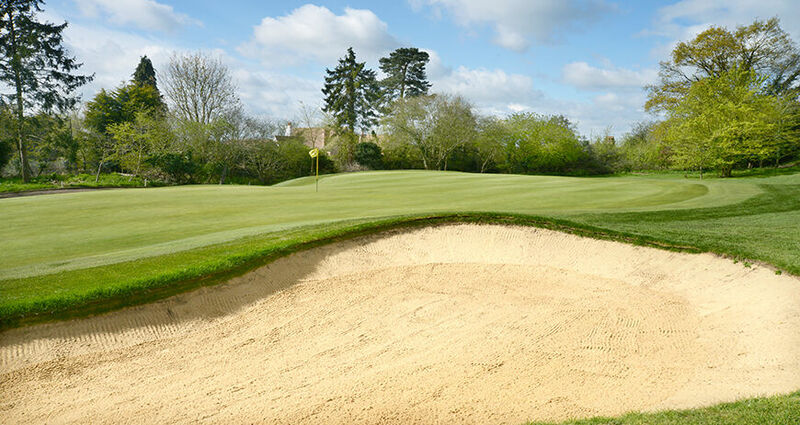 The design of the green complex will see any shot struck toward the left side of the green gravitate toward the deep green side bunker on the left side. 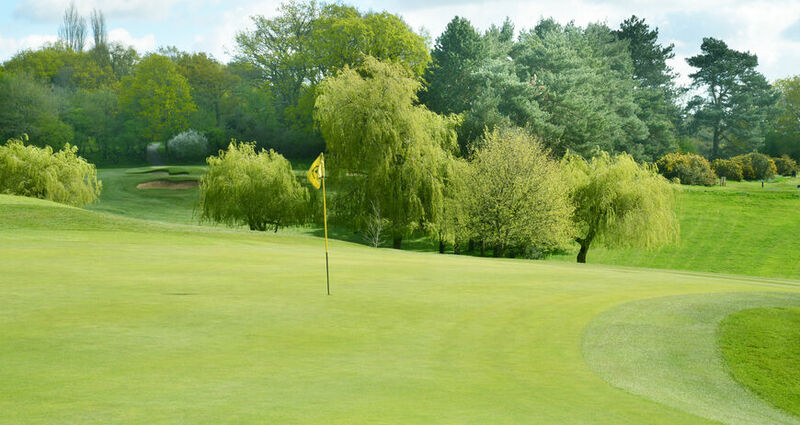 A shot left short and right of the green will see an equally penalised shot. 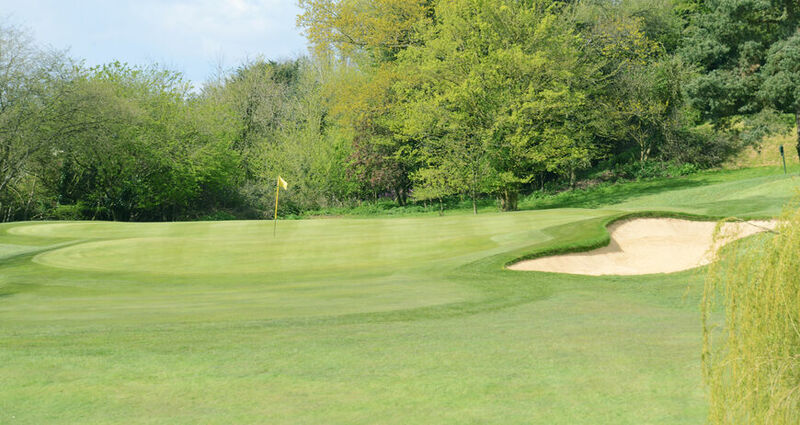 If your shot manages to stay on the green a fast and sloping putt awaits.